" Big Sur is the California that men dreamed of years ago . . . the face of the earth as the Creator intended it to look." 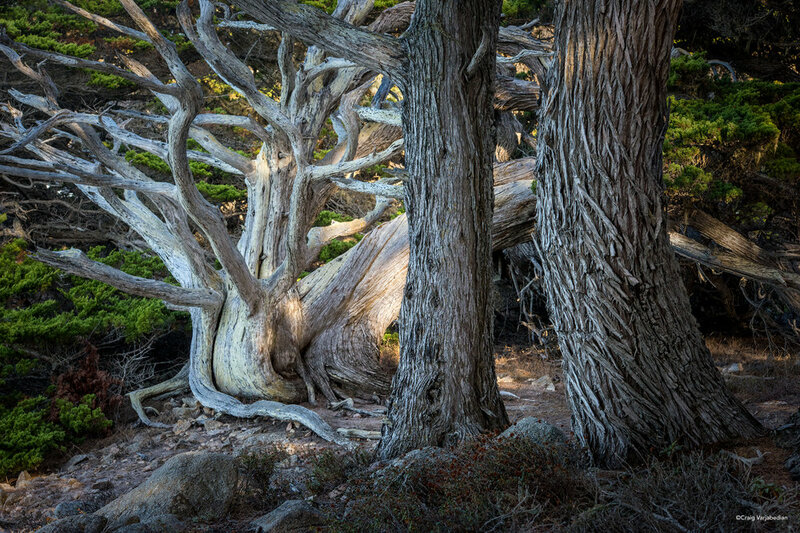 The beautiful California coast is one of the most magical places in the world to make photographs, especially the Central Coast area near Monterey, Carmel-by-the-Sea, Point Lobos, and Big Sur. Join award-winning photographer Craig Varjabedian to explore and photograph hidden beaches and dramatic seascapes in this beautiful area. WHAT: Here the landscape encompasses dramatic ocean and mountain views, under a magnificent, ever-changing sky. 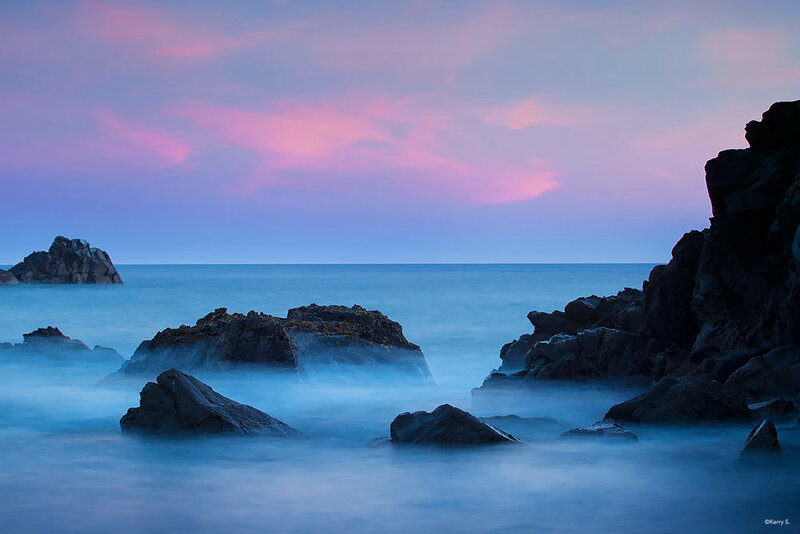 Whether you are pointing your camera at the sunlit arch at Pfeiffer Beach or capturing sea otters at play at Point Lobos, this workshop will provide many opportunities to make great photographs in a spectacular landscape. WHO: This workshop is a terrific for all digital photographers who are essentially familiar with their cameras. You will need to know, before you get here, how to set and use auto bracketing on your camera if your camera has this feature. You should be able to download, edit and manage images on your laptop computer and be able to output an image file for review and comment as time permits. You will need to be able to carry your own gear and be capable of walking/hiking on sandy beaches and some uneven and hilly ground for a couple of miles at each location. PLAN: In addition to making photographs, we plan a studio visit and an enjoyable private conversation with Barbara Bullock-Wilson and learn more about the photography of her parents, the legendary photographers Wynn and Edna Bullock, whose work we will see as well. And throughout the workshop we will be making photographs—lots of them. This is a shooting-intensive workshop and tour, with Craig providing hands-on one-on-one guidance in the field as needed, and encouraging you to think more deeply about how you create photographs. Weather permitting we will photograph the night sky! The workshop will be based in Carmel-by-the-Sea, California. BACKGROUND: Landscape painter Francis McComas described the area as "the greatest meeting of land and water in the world." This is the place where landscape photography as we know it today was born. Ansel Adams, Edward Weston, Wynn Bullock, Morley Baer, and many other important photographers made their homes here, honed their craft, and created some of their most memorable images. WHAT TO BRING: Lots of enthusiasm for making pictures. Your digital camera with lenses, a tripod and filters. A laptop computer with Lightroom software installed and working. *WHAT'S INCLUDED:: Photographic instruction/guidance, location fees, breakfasts, one group dinner and double occupancy lodging. Single supplement available. Please call our studio for further information.